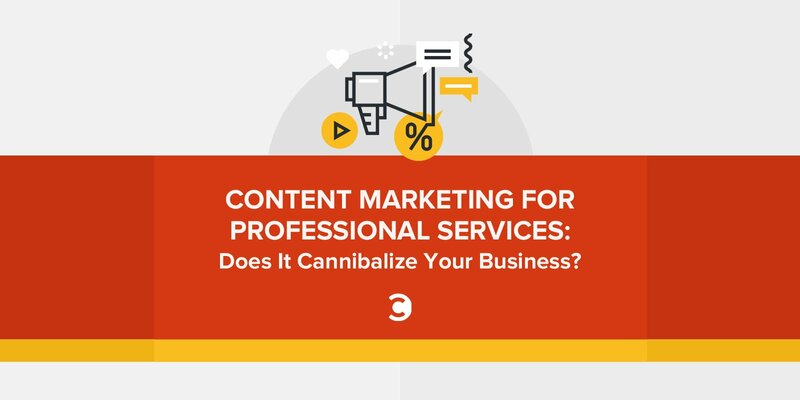 Content Marketing for Professional Services: Does It Cannibalize Your Business? Guest post by Joe Pulizzi, founder of the Content Marketing Institute Joe evangelizes content marketing around the world through keynotes, articles, tweets and his books, Managing Content Marketing and Get Content Get Customers. If you want to get on his good side, send him something orange. In my second trip down to SXSW, I had the distinct pleasure of presenting with Jay Baer, my good friend, a CMI consultant, and one of the best social media minds in the game. The title of our session was, “Does Free Content Cannibalize Your Paid Consulting?,” and it focused on content marketing strategies and tactics for professional services companies. As a good content marketing best practice, we’ve put together the highlights of the presentation below, along with the downloadable SlideShare version. 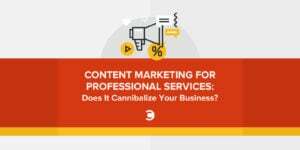 Is Content Marketing Required for Professional Services Companies? Death of the intermediary: Although media placement and coverage can still be incredibly effective, it is no longer necessary. We can now communicate directly with our customers and prospects, if we have compelling and relevant information to share with them (can you say opt-in?). Access to talent: In the very recent past, it was challenging for professional services companies to attract the kind of journalistic talent necessary to create and distribute truly remarkable content marketing. That is no longer the case. More and more journalists are making the leap over to the dark side (non-media side) where, frankly put, more resources and opportunities present themselves for great content creators. Viable technology: You, me, and the sign post can all create a blog in five seconds or less. Social media channels abound for publishing purposes. Marketing automation services are available to all. There are no more excuses. Professional services companies need to realize that they are in competition with not only other consultants in your space, but also media companies in your industry, Google, and the billboard down the street. That means we need to develop and distribute content that is as good or better than anything else in our industry to attract and retain customers. So, we are indeed all publishers today. There is only one thing that separates the content developed by a media company and content developed by brands like Intel, John Deere, or LEGO: How the money comes in. For a media company, content is created in order to make money directly off the creation of content through paid content sales (direct purchase of content) or advertising sales (someone sponsors the content that is created, like we see in newspapers and magazines). For a non-media company, content is created not to profit directly from the content, but, rather, indirectly by attracting and retaining customers. In all other respects, the content creation activities in both types of companies are generally the same. Both needs to be authentic and credible. This is important to realize, in that non-media brands are competing with traditional media for attention and retention, just like you compete with the other businesses in your field. In order to be found in search engines, to drive inbound leads for your organization, and to be successful with your social media strategy, you need remarkable storytelling. Simply put, your content marketing strategy must come before your social media strategy. You would think since more professional services companies are realizing this, and that the barriers to entry are gone, that content marketing success stories for professional services companies would abound. Unfortunately (or fortunately), most paid consultants and services companies now realize that content marketing is really hard. 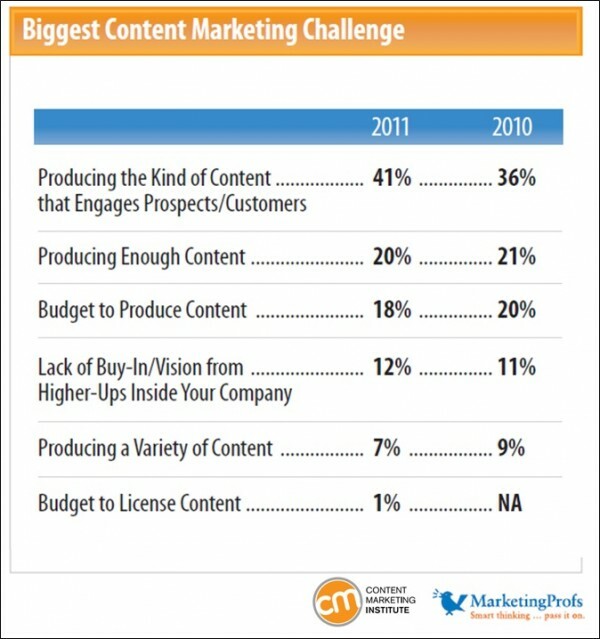 Recent Content Marketing Institute and MarketingProfs research shows us that the biggest content marketing challenge for B2B marketers is developing content that truly engages customers and prospects. For this strategy to work, it takes patience, commitment, and excellence at the craft. Professional services companies need to shift their thinking and realize that, in order to be the leading experts in their industry and get online referrals, they need to be creating consistent, valuable, and compelling content. Although we do offer some paid sponsorship opportunities as part of the Institute and our premier event, Content Marketing World, the majority of our online leads come in for our consulting practice, headed by Robert Rose. In our session, Jay called this strategy a “Trojan Horse Effect,” where we look and feel like a media company, all to generate interest around the consulting practice. Jay may indeed be right. 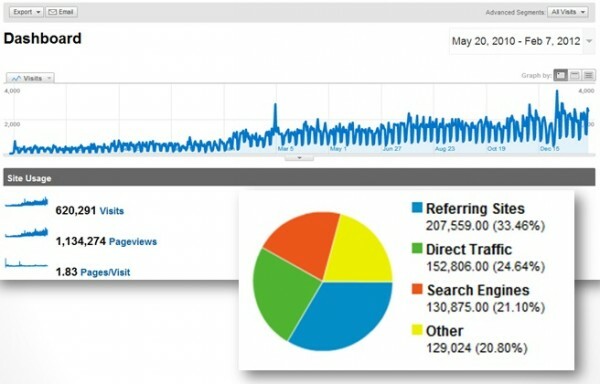 Since launching CMI in May of 2010, we now average nearly 100,000 unique visitors a month on our sites. We have over 70 active content contributors to CMI, producing two posts per day around “how-to” content marketing as well as content marketing news. Over the past three months, we’ve received dozens of qualified inbound leads into our consulting division, six of which are Fortune 500 companies. The best part is that these companies come to us ready to buy, and our sales cycle has dropped, in some cases, to just a few days. But while our belief is that giving away your knowledge (as much as possible) leads to substantially more opportunities, to what extent should a professional services company or paid consultant be transparent? Let’s discuss. My clients don’t consume online content: We hear this all the time. A paid consultant will say that they target CEOs, who don’t use search engines or social media. Recent Google research tells us that the average consumer engages in over 10 sources of information before making a buying decision. Also, according to research from Doremus and the Financial Times, over 60 percent of senior executives read blogs, watch online video, view webcasts, and use professional networking sites like LinkedIn. We don’t have time to create content: Online content marketing is the ultimate informational annuity. For example, Jay shared his statistics on just one post on social media strategy he created almost three years ago. The post still attracts an average of 300 people per day (to just that one post) and has led to multiple pieces of business for Jay. We can just do a blog: Today, a blog is just a ticket to the ball game. Sixty-five percent of B2B companies have blogs today (according to CMI and MarketingProfs research). In order to be the leading expert for your industry, you need to take story ideas and adapt them to channels, like blowing a dandelion in the wind. For example, with the Content Marketing Playbook, although the eBook was the main content product, we produced a SlideShare version, multiple podcasts, multiple blog posts, a news release, an enewsletter version, snippets in our print magazine, Chief Content Officer, guest blogs, promotions on Twitter, Facebook, LinkedIn, Google+, and more. We’ll give away all our secret sauce: Contrary to what some people believe, a prospect doesn’t read one blog post and buys on the spot. Through our content, we develop attention, then interest, then action. So you’ve got to work it by solving the pain points of your customers. Yes, you may give away your secrets, but having a grocery list doesn’t make you a chef. Those customers that want to take your advice and do it themselves? Fine. Those are not the kind of customers you want. What you need to do is show your expertise and insight, and have smart executives recognize your talent. We shouldn’t talk about price in our content: Jay and I call this the Marcus Sheridan effect. Marcus is owner of River Pools and Spas and is now a prominent marketing speaker and consultant. Marcus was able to sell more fiberglass swimming pools than anyone in the country by sharing everything, including specifics on price. Just type in anything around pricing and fiberglass pools into Google—Marcus always comes up and dominates the search rankings. This same philosophy has also worked in his marketing practice. If you can’t talk specific pricing, at least talk about the dynamics that go into pricing. This is your competitive advantage waiting to happen. Know your niche: Where can you be the leading expert in the world for your specific buyers? It’s better to go smaller and broaden out once you dominate your niche. Think as if you were a trade magazine. Vertical is in, horizontal is out. Know your audience: Jay’s practice targets the social media practitioner, and has truly focused on this with this Social Pros podcast series. He doesn’t want all people interested in social media, just practitioners. It’s an important distinction. The same goes for OpenView Venture Partners [disclaimer: I am an advisor], who is targeting successful technology entrepreneurs looking for capital to grow, not just any entrepreneur. Know your budget: Just read this budget and content marketing investment post for agencies from Jay. Enough said. Know your metrics: Here are the four key metrics for agencies, as well as a content marketing ROI analysis considering the three kinds of measurement indicators for your business. Thanks again to everyone who came to the presentation. Here are the slides below to pass around at your discretion.